Your “self” is what you construct it to be. But sometimes, through biopower, a self is constructed and regulated by society. Rebecca Tiger, a Professor of Sociology at Middlebury College, came to our class to talk about the “addict.” She explained that once a person is deemed an addict, that person’s dominant identity (master status) becomes The Addict. Professor Tiger makes the point that, since addiction is called a brain disease, than one cannot escape the disease because it is so deeply embedded in one’s physical body. The celebrity monster is a perfect (albeit exaggerated) example of this relationship. The celebrity’s deemed failings are put on display for people to decide how that celebrity should correct their failings and to scold the celebrity for their wrongs (seen in comments on celebrity gossip sites). Professor Tiger uses Lindsay Lohan as an example. Cohen talks about the “female monster” as something that emerges when a woman oversteps the boundaries delineated by the patriarchy. In the case of Lindsay Lohan and other female celebrities, we see the gendered nature of the “monster” or addict. If we look at Parent Trap or Mean Girls we are reminded of the Lindsay Lohan who was “pure,” innocent and a Hollywood sweetheart. Fast forward a few years, suddenly she is spiraling downward and crashing, being tried for her substance abuse and dubbed the “addict.” My classmates brought up a good point when they said that Charlie Sheen isn’t rejected in his (real life) role as the addict, continues to have success, while Lindsay Lohan lost an acting job and is considered tainted. 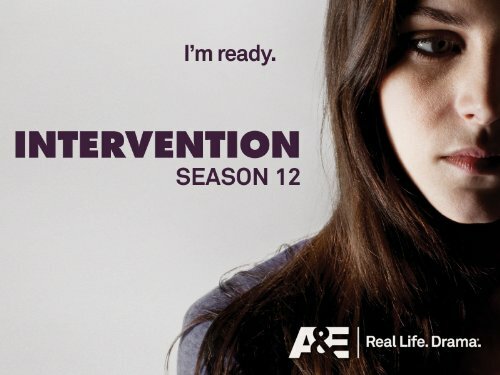 The female addict as a monster is further explored in A&E’s series Intervention. The basis of reality TV like Intervention is to transform a person from an addict to a healthy citizen. A TV show must appeal to an audience, of course, and I see Intervention as dangling the female “monster” in front of an audience and asking them to judge. Intervention can fall under the category of a reality TV show that “challenge[s] the health effects of participating in transformations stage crafted for a viewing audience,” as Professor Daniels writes in Intervention: Reality TV, Whiteness, and Narratives of Addiction. Professor Daniels, in our class lecture on “Reality TV, Health & Feminism,” spoke about how there is a concern about the morals of women on the show (interestingly, there is an over-representation of women on Intervention so that shows where society’s interests lie). Thus, women on the show are not only watched through a lens, but figuratively under the Foucauldian panopticon. Do these shows even work? Well, apparently, they work for A&E who reinvented their entire network and profited big time. Advertisers, who were uncertain about associating with such a “dark” show, were more than pleased to associate once Intervention became a hit. The show also works for the “addict’s” family, who gets paid $50,000-$120,000. Lindsay and the Intervention participants are supposed to identify a certain way and since they are deviating from that norm, they are no longer the definition of a “woman.” Their main identities are the “addicts.” They are supposed to be told what to do by outside forces and they don’t have the power to control themselves how they see fit. Their “bad” parts are taken from them and magnified to the extreme, all under society’s hungry and intrusive gaze. This entry was posted in Blog Assignments, Uncategorized and tagged addiction, assignment, identity, panopticon.